Missy Confidential Shop the sales for designer looks on a budget! You don't need to have a big budget to have big style. 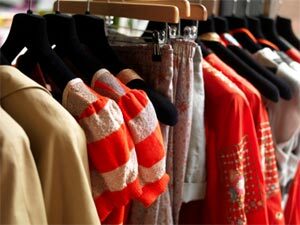 Often, the key to looking great is knowing how to spend your fashion budget, and of course - where.If you love designer fashion, but don't have a lot to spend on expensive labels, one of the best places to find designer fashion bargains is at studio and warehouse sales. MissyConfidential.com.au is a website dedicated to reporting on the hottest designer fashion and bargain sales in your city. Each week, you'll find dozens of secret sales listed, and many of these sales are listed exclusively on Missy Confidential. If you love the idea of wearing designer clothing from popular Australian designer, but didn't think you could afford them, think again. MissyConfidential.com.au reports on where to buy sass & bide, moss & spy, Natasha, Camilla and Marc, Urban Originals, Shakuhachi, Tigerlily, Alice McCall, Hussy, 18th Amendment, Spencer and Rutherford and more. Many of the sales listed carry incredible bargains. You could save up to 90% on a pair of the latest designer jeans, find a new pair of heels for $10. Some of the prices at the sales are seriously low. We've been known to put together an entire outfit for $60, and that includes dress, shoes, handbag, belt and jacket!By joining the free Missy Confidential Sale Alert, Missy will notify you of any upcoming studio or warehouse sales. So you'll have advance invitation to where these exclusive sales are on - and when. Besides designer fashion, Missy Confidential also reports on other warehouse and sale events. Popular sales on Missy Confidential include luxury brand fragrance and cosmetic sales. Many of these discount sales occur around Australia from around October, making them the perfect place to shop for indulgent Christmas gifts at huge savings. So keep an eye on Missy to find out where these events are on in your city. You'll find reductions of up to 80% on the brands and products you'd normally find only stocked in department stores. One time you might not expect to save money is before your wedding, but if you are a Bride to be, you will be excited to know Missy Confidential also lists Designer Bridal Sales - helping many brides find their dream designer gowns on sale. One subscriber recently found a divine Vera Wang wedding gown for half the ticketed price at a recent sale in Sydney. You can imagine how excited she was! To be in the know, become a subscriber to the free Missy Confidential Sale Alert and get the news emailed to your email address each week. You'll soon be bargain shopping at the best sales in your city. And with your additional Missy VIP discounts, you can save even more at the sale, just by mentioning Missy Confidential. If overseas designer labels like Marc Jacobs, D&G, Chloe, Prada, Fendi, Diesel and Gucci excite you, then keep an eye on the sale events listed on Missy Confidential. You could save on current season collections by buying at the sales listed on the website. Imagine purchasing these hot designers at a fraction of their normally cost! 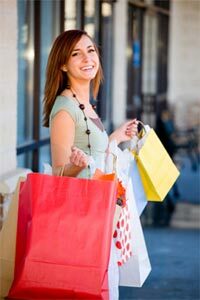 If you want to know how to make the most of sale shopping, then follow Missy Confidential's top ten tips below. Sign up for free and you'll be the first to know about the best designer fashion sales in your city. Arriving early means first pick of great gear. 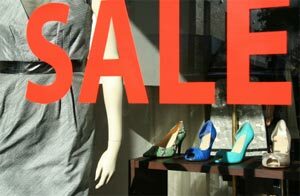 Sale shopping on the last day of a sale event can also offer a fantastic opportunity to find even greater reductions, as prices are marked down further. Have in mind the key wardrobe pieces you need, for example, a Navy Cardigan to match a favourite dress, or a brown belt to match your winter boots. Sale shopping is so much more fun with a good friend! Print off a few of your favourite sales listed for any Saturday. With a little planning, you can really make a day of it. 6. Do buy that fabulous frock! You never know when you'll be invited to a special occasion requiring something really fabulous to wear. And if bought the dress on sale, you can spend more on accessories. Missy Confidential often lists special Missy VIP Discount Codes so you as a subscriber can save another 5-20% on already discounted prices. So make sure to check the codes before you go. Many of the sales will require Cash payments only (check Missy for details of payments relating to each sale). For sales accepting credit card, a little hint that the queues are often shorter on the cash payment lines. Many of the sales on Missy take place in studios and warehouses - so if you plan to shop in your lunch hour, order your sandwich to go and take a bottle of water. Bargain hunting can be thirsty work! Sale shopping should be a lot of fun as well as rewarding. With some clever purchases, you could have designer looks on a tiny budget!